Figure 1: The world is currently on track for warming of around 4ºC. Global warming, water scarcity, melting poles, CO2 emissions, pollution, extreme weather conditions…For some time, all these words have become more than familiar, they have become a global problem. Davos 2016 warned about the magnitude the climate crisis has on our planet. Only one month after the Paris Climate Conference (COP21), the topic came up for discussion again. What is the “COP21” That Everybody’s Talking About? Paris Climate Conference (COP21) 2015 marked an unprecedented climate agreement. The Rio Earth Summit took place back in 1992. For the first time, sovereign nations gathered together to discuss the environmental situation. Some relevant international treaties were drafted at Rio such as: the Rio Convention and the UNFCCC (United Nations Framework on Climate Change). After this event, the “Conferences of Parties, (COP)” are held, as joint efforts towards an international political response to climate change, reviewing specially the Convention’s implementation. The 2015 Paris Climate Conference is a historical achievement. The 195 countries that comprised COP21, signed their first legally binding and universal agreement on climate change, with the aim of keeping global warming to under 2°C. Can the Paris 2015 Climate summit be considered a success? Christiana Figueres stated at Davos 2016 that the Paris 2015 was successful; however, the final outcome will depend on how we interpret Paris signs. The Paris 2015 Climate Conference came to the conclusion that a long-term transformation is urgent. The message is clear: the planet is facing risks. These risks require immediate global and unified actions, but with a long-term vision. That is to say that the progress towards a greener and better world must be pursued in an orderly way and under a responsible management. Human economies and development have had a “historical alliance” with fossil fuels for over the past 150 years. Fossil fuels are big tax contributors to many countries. Moreover, fossil fuels are present in almost every human economic activity. Overcoming this reliance is a progressive transition; a hasty breakup could bring strong negative impacts on our society. Some Developing countries have a very low energy emissions footprint. Despite this, these countries will also need fossil fuels to ensure their industrial and economic progress; Developing countries are the perfect scenario to start reducing fossil fuel dependence, and while implementing greener ways of development. 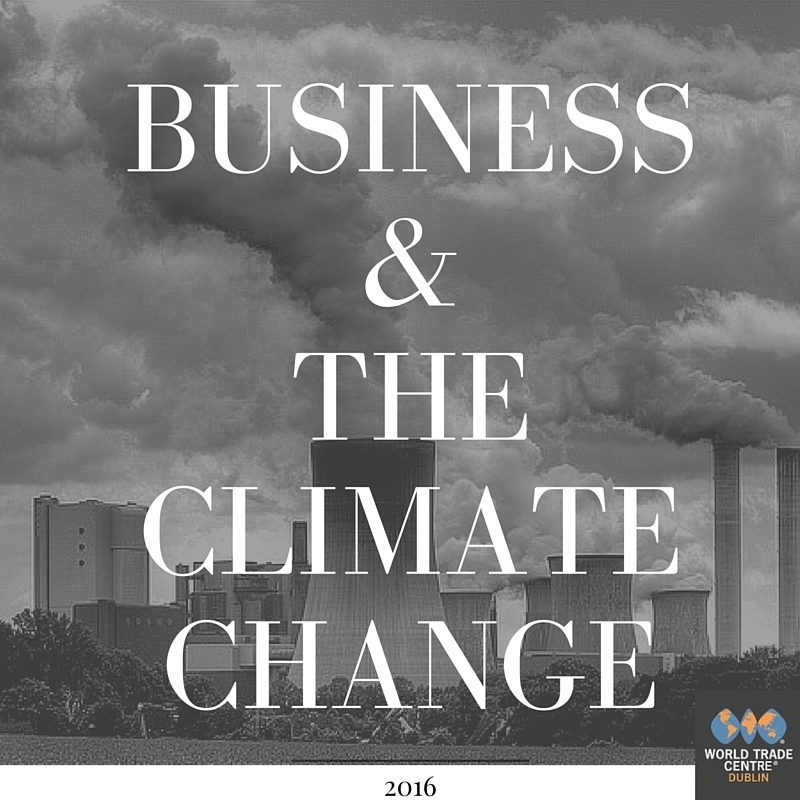 “The private sector was more visible and active at COP 21 than in any previous COP”. COP21 has been exclusively signed by sovereign nations. Nonetheless, the business community involvement has been highly reinforced since 2015. The business sector is regarded as an innovation and finance driver. The climate and environmental management no longer remain under international governments’ control. Consumers, businesses and international organizations all play an active role in shaping the transition into a green future. The main conclusion we can draw from Davos 2016 is that the direction of change is already set. 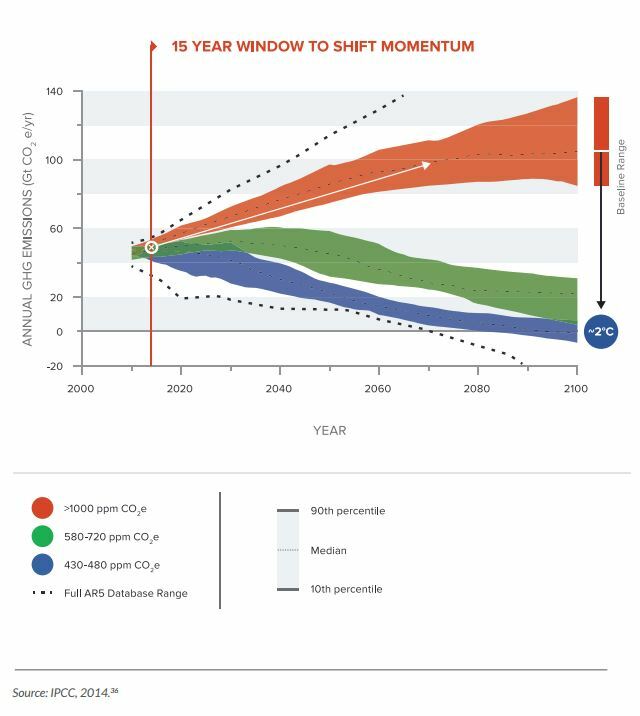 However, the path towards a green transition still remains long. The world we live in is both globalized and governed by technological breakthroughs; In other words, climate sustainability does no longer mean a reduction on our comfortable styles of living. Clean technology along with the agents previously mentioned will lead us towards this transition. With all these means at our disposal to pursue change, the only question left to ask is: will we change? 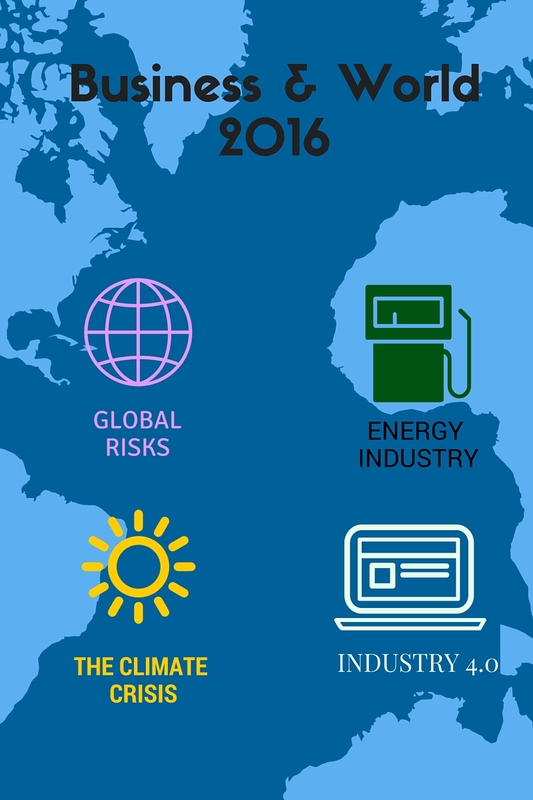 a) 2016 Global risks (Tuesday 26th January). c) The Energy Industry (Thrusday 28th January). d) Industry 4.0 (Monday 1st February). Please stay tuned and keep up to date on our social media pages.